Some of you may know about Air Awakens and Harry Potter, correct? Correct. Well this month our theme is about those two wonderful books! I have not read Air Awakens but I will by the end of this month, and in the mean time, me and Library Luv have decided to make this book tag! 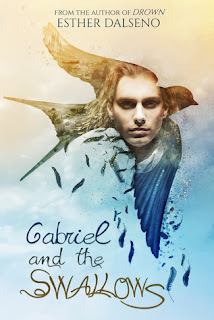 I hope you enjoy this fantasy themed book tag and have fun! If you do decide to do this tag, in the comments bellow or on twitter tag either me or Library Luv with your link attached so we can add it to this post for others to see! 1) What is your favorite book that includes Magic and Sorcerey? 2) What is your favorite Muggle Movie? Can I say Harry Potter? But also! The hunger games and divergent and the maze runner. And if The Selection ever gets made into a movie definitely that! 3) What is your favorite Harry Potter book? I have only read the first two, but out of those two, I would have to say the first Harry Potter! 4) If you could have any magic/Sorcery powers what would they be? 5) What is your favorite Fantasy book cover? 6) What two characters (From any books) would you want to practice your spell casting with? 7) Who is your favorite author that writes Magic/Sorcery books? 8) Which Wizard/Sorcerer would you want to meet (Movie or book)? 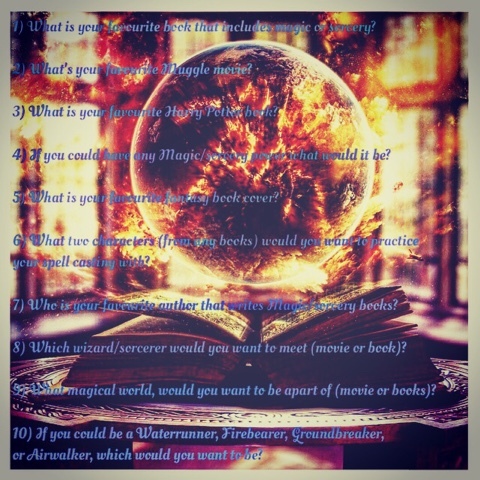 9) What magical world would you want to be apart of (movie or book)? *Wide eyed* Who made these questions? (Just kidding!, even though I think Library Luv made this one . . . <3) but seriously, I'd want to either live in Wonderland, at hogwarts, in the Fae world (Unenchanted)...so many more. But if I had to choose one, I'm choosing Wonderland. Then I can hang out with Alyssa and Morpheus! 10) If you could be a Waterrunner, Firebearer, Groundbreaker, or Airwalker, which would you be? Well Luvs, I hope you enjoyed Library Luv's and my book tag for the month of september! I hope that you join in and have some fun also.